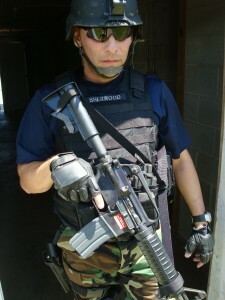 IOTV carrier (Improved Outer Tactical Vest). We have done it again. We designed a tactical replacement carrier that converts the IOTV (Improved Outer Tactical Vest) GenI and GenII soft armor inserts into a improved tactical vest. 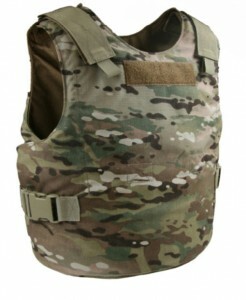 The new carrier design allows the individual to convert the issue soft and hard body armor into a lighter and simpler body armor carrier system. Just like our OTV carriers that supports the Interceptor IBA armor the IOTV carrier supports the newer Gen1 and Gen2 US Army issue body armor in a lighter and simpler body armor carrier system. The IOTV carrier has mounting webbing which makes it fully configurable to support groin protection. lower back protection, deltoid protection and neck-throat protection. Internal front and rear plate pockets support SAPI/Swimmer/Rectangle cut plates. The carriers are not quick-release. The IOTV carrier is available in three versions and in multiple colors which allows the individual to quickly utilize issue armor in a cost effective manner. Colors – Multicam, A-TACS AU, A-TACS FG, Coyote, Ranger Green, Khaki, OD, Woodland and Black. IOTV carrier cumber – has a fully configurable external cumber system with an elastic internal cumber. All BCS cumbers have the unique design with molle on the inside and outside to allow for maximum configuration of side-SAPI plates and mag pouches. The cumber has velcro access so soft armor inserts or support material can be inserted. The front cumber flap is designed with four rows of molle to allow for a greater range of up and down adjustment of pouches. IOTV carrier LBAV – The lowest profile carrier on the market that supports the IOTV issue armor. Extremely lightweight and designed for concealable operations. 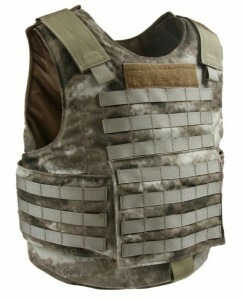 This carrier is perfect if using a chest rig or vest, for those that like to layer their kit.. The carrier does have internal front and rear SAPI pockets as well. IOTV carrier molle – excludes the cumber flap and cumber but still retains plenty of molle real estate across the front and back of the carrier for mounting molle compatible pouches. The waist configuration is available in a 2” quick release or 2” loop/velcro. The BCS IOTV carrier line allows you to utilize the IOTV cut armor in multiple configurations with out breaking the bank.